Christopher Monfort, convicted of killing Seattle police Officer Tim Brenton, was found dead in his cell at the Washington State Penitentiary in January. 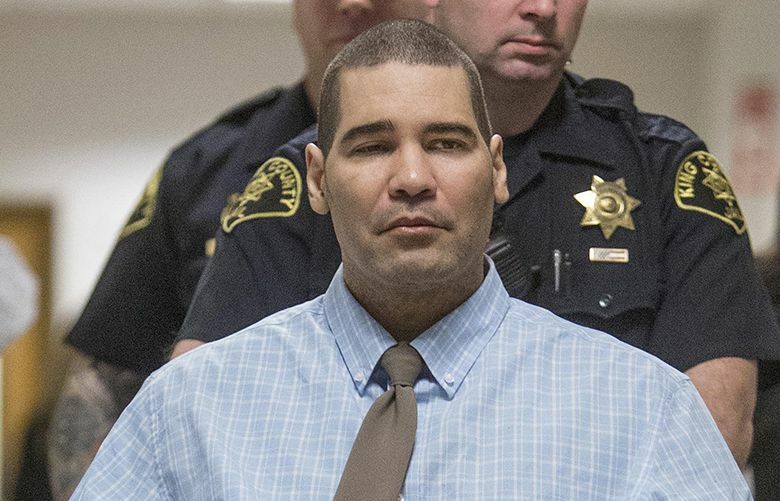 Christopher Monfort, who was serving a life sentence for killing Seattle police Officer Tim Brenton in 2009, died in January from an overdose, but it’s unknown whether it was accidental or deliberate, the Walla Walla County coroner said Wednesday. Monfort was found dead in his cell at the Washington State Penitentiary in Walla Walla on Jan. 18. His cause of death was not immediately known as officials awaited the results of autopsy and toxicology tests, which found he died of acute amitriptyline intoxication. The drug amitriptyline is used to treat mental illness, including major depressive disorder. In releasing the cause of death Wednesday, Coroner Richard Greenwood said Monfort’s manner of death is undetermined, according to a news release. Coroners and medical examiners typically classify deaths in one of five categories: Natural, accidental, homicide, suicide or undetermined. By classifying Monfort’s death as undetermined, it’s likely the coroner could not determine if Monfort accidentally overdosed or committed suicide. Monfort was found dead in his single-person cell at 7:45 a.m. Jan. 18. Monfort, 48, who was convicted in June 2015 of aggravated first-degree murder for the ambush killing of Brenton and for wounding his partner on Halloween night 2009, was serving a life sentence. He was paralyzed below the waist by a police gunshot he suffered during his arrest six days later in Tukwila and was in deteriorating health by the time of his trial in King County Superior Court. Monfort was also convicted of two counts of attempted first-degree murder for wounding Brenton’s partner, Britt Kelly, and for pointing a handgun at a homicide sergeant during his arrest. He was also convicted of first-degree arson for setting a fire and detonating pipe bombs that destroyed a handful of police vehicles at the city’s Charles Street maintenance yard nine days before Brenton was killed. Monfort had pleaded not guilty by reason of insanity to all five felony charges. Since arriving in Walla Walla in September 2015, Monfort had received two infractions for violating prison rules. He was reprimanded for disruptive behavior in February 2016, and in August he lost privileges for 15 days for sexual harassment, according to a Department of Corrections spokesman.